when it is time to say good bye." 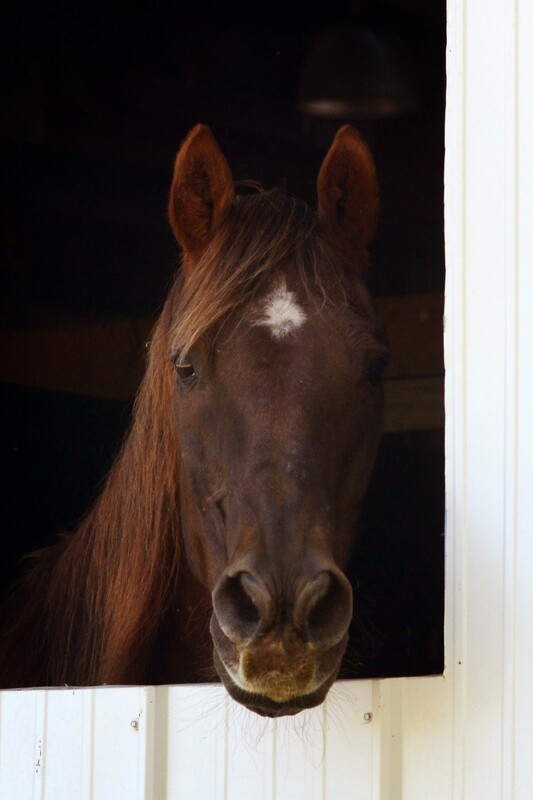 Sunny was a sweet happy horse who lived his senior years as part of our herd. Always the ladies man, Sunny continued to woo the mares as he aged. 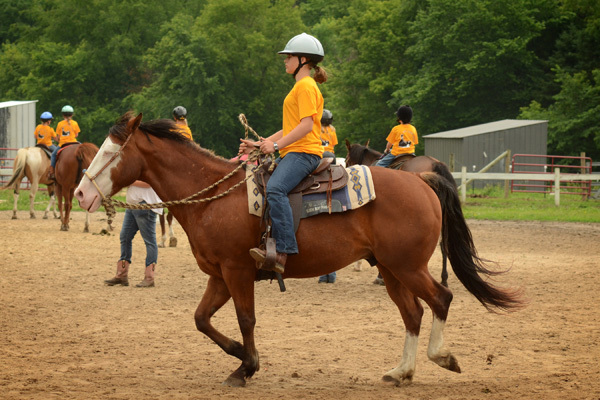 Sunny enjoyed giving children their first ride and taught many how to canter. After Sunny was retired he lounged around with his best friend King and enjoyed attention and grooming. 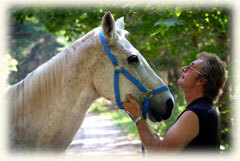 He was loved and is missed and we hope he is watching over his beloved mares. 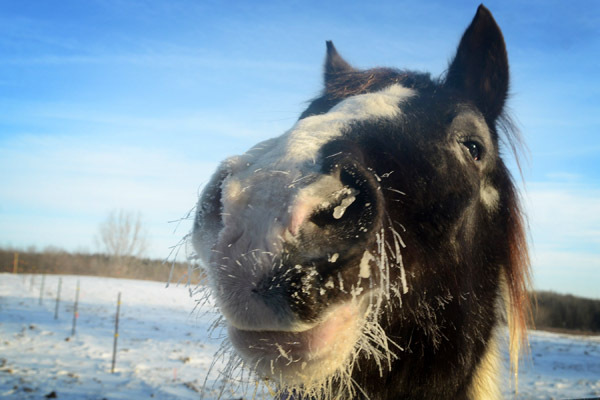 Popper was a funny old horse, well loved and set in his ways by the time he came to us. He wasn't overly enthusiastic about giving lessons and would often park himself by the gate when he decided time was up. Many young riders however had their first canter on this sweet old guy. He always "talked" to everyone- non stop nickering for more of his beloved senior feed. From his old man "eye brows" to his graying muzzle we will always miss our beloved Popper. We said goodbye to Ellie. 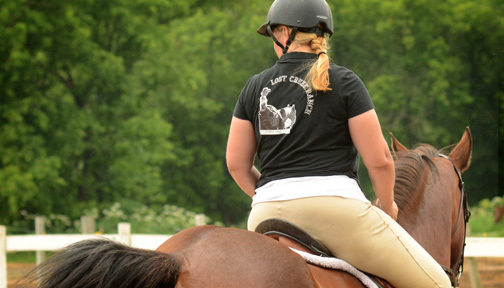 She was 32 years young and loved her job teaching kids and building confidence in new riders. 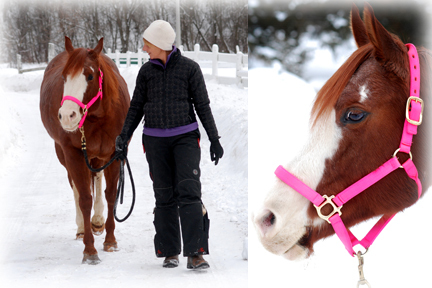 We will miss her signature "happy tail" as she trotted around the arena. Ellie had more energy and heart than horses half her age and in the two short years she was with us she lived life to the fullest. 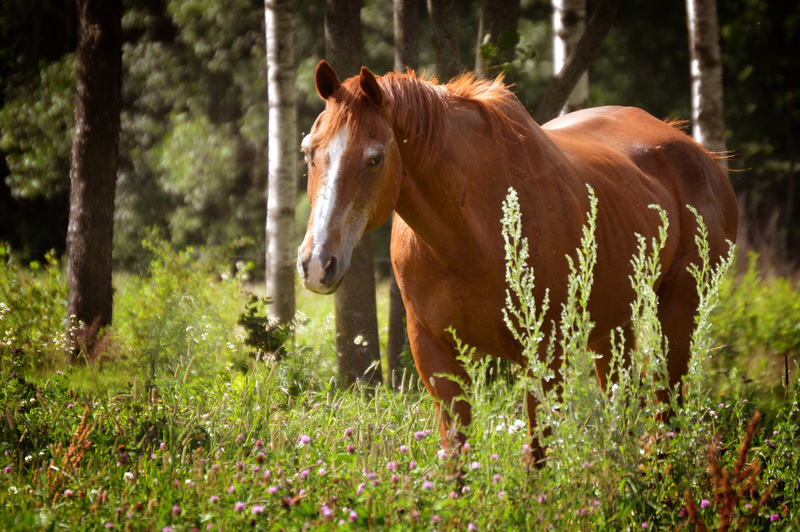 Spring was a one of a kind Saddlebred/ Arabian mare. She was well into her 30's and still not for the faint of heart to ride. Often seen running around the senior mares paddock with her tail flagged is how we will remember her. 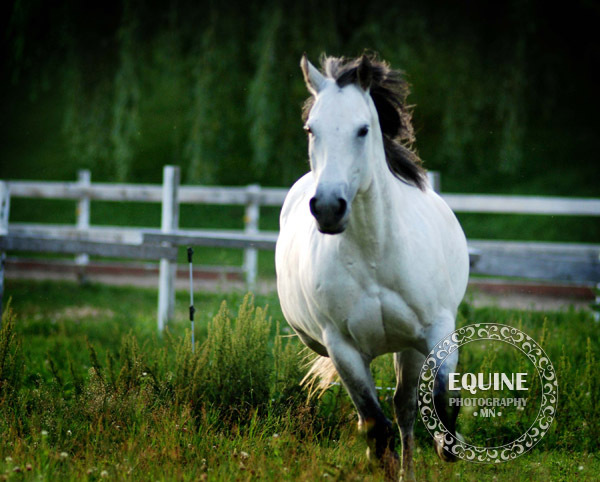 She loved jumping and any equine sport that involved going fast. Her sweet soul was with us for five years. 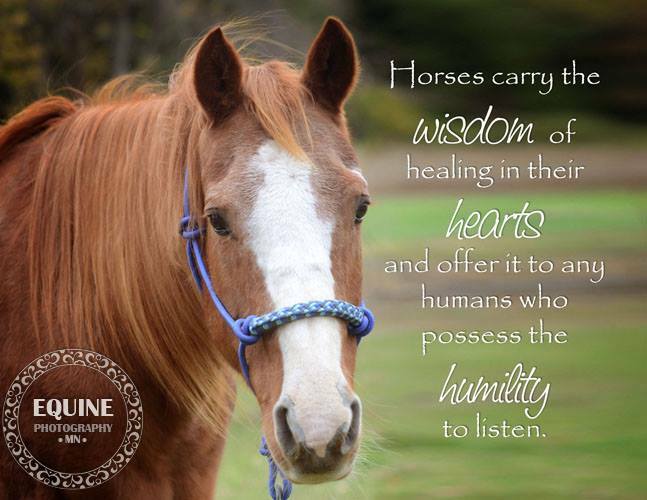 Sweet, gentle Blizz spent her time mothering and caretaking any horse that needed it. She was smart and able to hold her ground even as arthritis was getting the better of her. She loved little children and carried many on their first rides. We know Blizz is up there watching over the ranch. 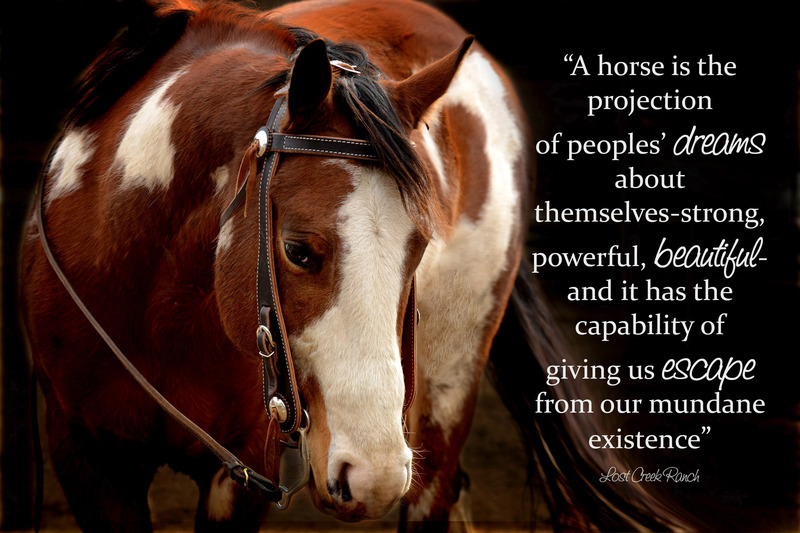 Every horse that calls Lost Creek Ranch home is special and no matter how long they are with us they leave a lasting gap in our herd and in our hearts. 2014 was an especially tough year as we said goodbye to some of our "old guys." The oldest and wisest of all was Tardy. 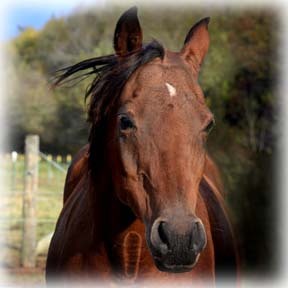 Tardy lived to be 39 years old and was a fixture around the ranch- he taught generations of kids and adults how to ride. He wandered the old ranch outside the fences, down to the creek, up the shady driveway but always made his way home for dinner. Many new comers were shocked when Tardy greeted them as they parked their car! We also said goodbye to CJ our gentle giant. 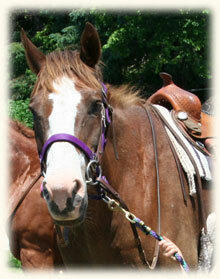 CJ was a big, slow, sweet horse who was a favorite confidence builder for kids and adults alike. He might be the only horse who excelled at both jumping and western pleasure! 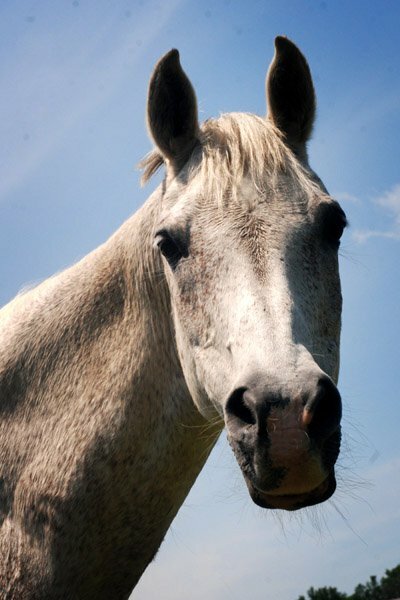 Baron was a stunning gray mare who left us much too young due to severe heaves. 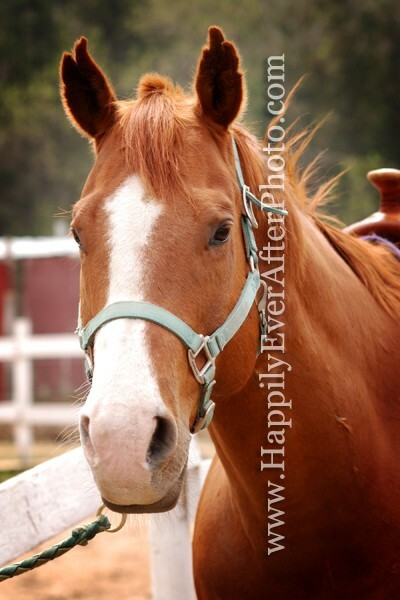 She was a sweet mare who enjoyed a little bit of everything from being a camp/ lesson horse to trail rides. 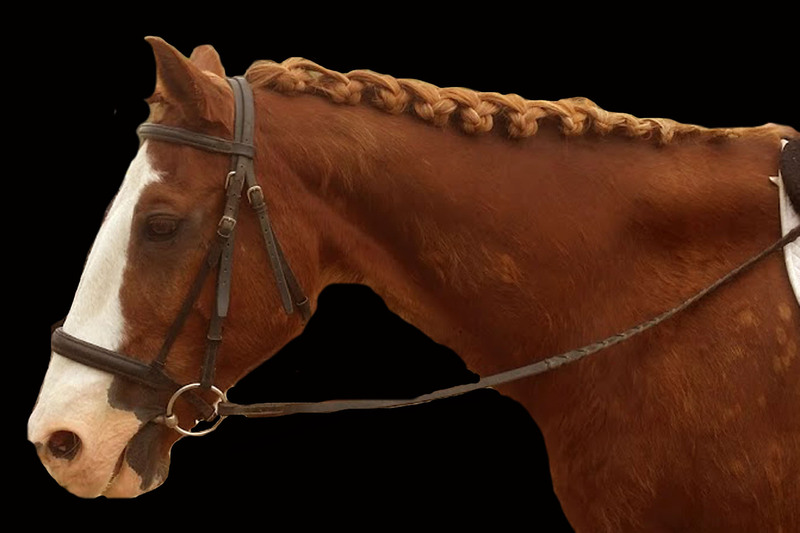 Her sassy ways endeared her to many riders and her smooth trot was perfect for beginning riders to learn on. It never seems fair to loose such a young horse but we know she is breathing free and easy bossing her new herd in heaven. 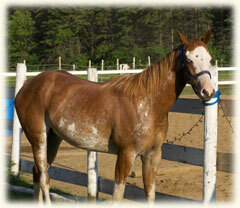 Our stunning paint gelding Astin was only with us a short time but he was one of a kind. For the riders he clicked with he was a confidence builder and friend. He really enjoyed cantering and was a talented horse. 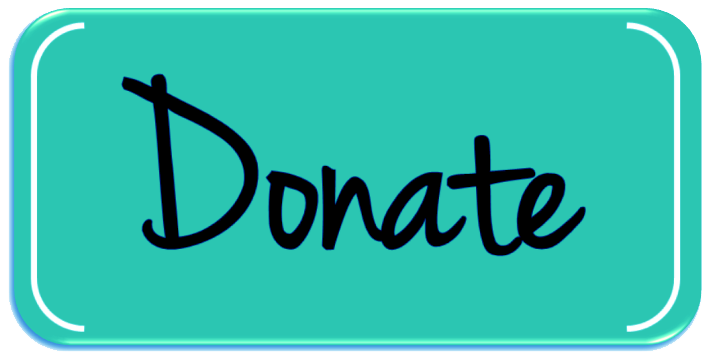 We know his body and mind are whole and we hope he will come back to us in his next life. 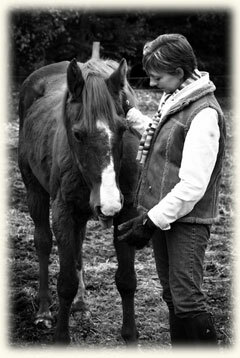 Beloved, lesson horse Bandit left us this year. He lived a full life in his 33 years and taught many children how to ride. Amigo also left us suddenly. At 25 he was still wasn't beginner safe! He had no idea he was considered a "senior horse." 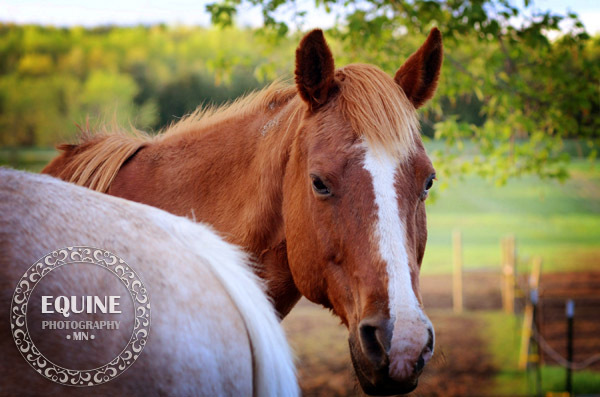 Moose left a huge hole at the ranch and in our hearts when we lost him to a tragic hoof injury. Moose had the kindest eye and was easy to fall in love with. He carried many riders to blue ribbons in shows. He will always be missed but we can smile knowing he is running in green pastures with Amigo and Bandit and they are all watching over our herd. What better Angel Horses could we ask for? Ava left us this year along with Pablo. Both very dear and sweet. Neither one of them were with us for very long, but they both touched us in profound ways. It continues to amaze me the graceful, strong, and proud way these equine animals move, even in their weakest moments. And how easily they can reflect and share how wonderful life truly can be when there is at least one person who cares and loves you deeply. Pablo was very sweet arab who is very missed. He was just starting to settle in to his new life and routine at the ranch. Although he was trained in dressage he had a nice little western jog trot and a willingness to please. He is missed daily and will forever be remembered as a member of our herd. 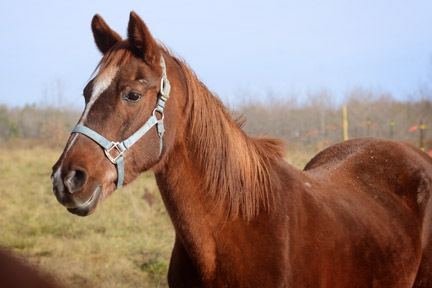 Ava was brought to the ranch after she was spotted in the kill pen at the auction struggling to breath. 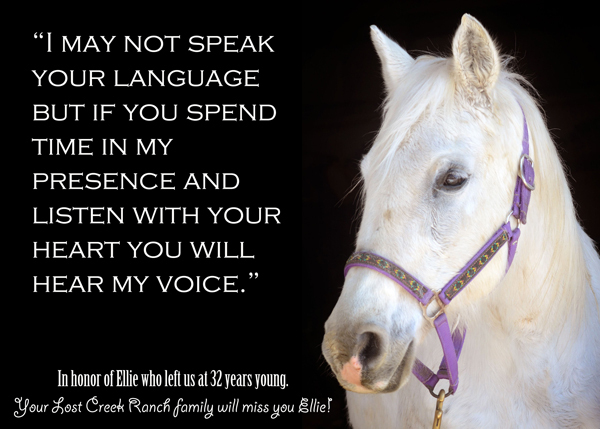 She was with us less than a year but knew nothing but love, attention and friendship (both human and equine) while at Lost Creek Ranch. went to a show with Patters you were guaranteed to come home with a ribbon. All the judges knew him and loved him and the people watching in the stands were always rooting for Mr. Patters. They say that there are angels on earth and I truly believe he was one. Thank you Patters, for everything you gave while you were here with us. 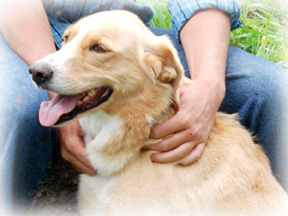 Tipper was the golden dog with the big heart that everyone loved. Lucy passed over this year, at the age of 29 but not before touching several of our lives in a very profound way. We will all miss her dearly, she had an incredible spirit and strong will that will never be forgotten. She was greeted in heaven by Coco her daughter (age 16) who had been diagnosed with cancer shortly before. They both lived a long and love filled life. Not one Sunday passed that their owners were not here for grooming, lots of treats and tons of love. The times I had with Cody were some of the most memorable times/rides. Here are some of the rides I remember most, one is when Cody was just a new part of the Lost Creek and I was assigned to Cody. I was so excited to ride the new horse! But not quite as excited when I started trotting! Boy, I was so scared. I didn't dare say anything though. Cantering was better it was the fastest canter I ever had ridden, although it was the smoothest canter I had ever ridden. Cody had taught me so much in that one lesson. 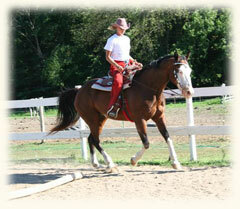 ( that was 2008) The next story is when I was assigned Cody for horse camp in 2009. That was one of the best times ever! ( Now that I could control him!) We had the best time ever, with all the loping and jumping! :) But when we were hurrying to put our horses away because it was raining hard, I got to the gate waiting for assistance to open the gate Cody stepped on my foot! The last time I rode him was in 2009's Fall Horsemanship Program. One more story, Cody took me on my first trail ride up in the hills. An awesome ride and farewell. Whenever we would go down the road to cool our horses down Cody would always pick up his feet and then slam them back down. We think he did that because his feet were sore. His favorite thing was to be scratched right on his forehead. I can only tell these stories because Cody is gone. So I guess it was his time to go. But it is a very sad time, a very very sad time. To one of my Favs. And a dear friend. In loving memory of Quito who passed shortly after going to a new home with a wonderful family. He was a privilege to finish,and a gift to ride. One of the most willing horses I have worked with. He will be missed and never forgotten. I wonder if Helen is still harassing him up there! Treat me kindly my beloved friend, for no heart in all the world is more grateful for kindness than the loving heart of me. Do not break my spirit with a whip, for though I drop my head, your patience and understanding will more quickly teach me the things you would have me learn. Speak to me often, for your voice is the world's sweetest music, as you know by the soft calling you hear when your footsteps fall upon my waiting ears. Please put me inside when it is cold and wet, for I am domesticated, no longer accustomed to the bitter elements. I ask no greater glory than the privilege of standing by your side in the shelter of the barn. Keep my tank filled with fresh water, for I cannot tell you when I suffer of thirst. Feed me clean food that I may stay well, to serve you, and carry you and do your bidding, to carefully keep us safe as we travel together. And my friend, when I am very old and thin and no longer enjoy good health, good legs, when I am no longer having any fun, do not keep me going selfishly. Please see that my trusting life is taken gently. I shall leave this earth knowing with the last breath I draw, my fate was always safest in your hands.